After hearing from the men and women you met in RIKERS, you may be inspired to do something to make a difference. There are many ways to engage on the local, state and national level. Below we list New York-based organizations that provide direct, hands-on support to current and former detainees, as well as groups focused on improving the state’s overall criminal justice system. We also list national organizations that are focused on reform, which can help you learn more about criminal justice issues and how to get involved where you live. If you are based in New York and looking for ways to act locally, below are some organizations that could help you get started as a volunteer, trainer or mentor. In addition to these, many houses of worship organize programs to assist people who have been released from incarceration and need volunteers. The Riverside Church and Brooklyn Tabernacle are two examples in New York City. Center for Community Alternatives focuses on community-based alternatives to incarceration. They are looking for mentors, tutors and community justice advocates. College and Community Fellowship offers currently and formerly incarcerated women tools to help rebuild their lives and develop leadership skills while completing their education. Volunteers are needed for event support and tutoring. Exodus Transitional Community provides support to formerly incarcerated men and women by helping them reintegrate into their communities. They are looking for volunteers and mentors, as well as employment opportunities for Exodus participants. The Fortune Society offers a range of services to incarcerated or formerly incarcerated people in areas including housing, employment and access to mental healthcare. Potential volunteers should contact them directly through their website. Hour Children offers services to pregnant women and mothers who are separated from their children while incarcerated at Rikers Island and then offers support after their release. They are looking for mentors for both women and children. The NYC Department of Correction uses volunteer services to provide a variety of activities, programs and services to the city’s inmate population designed to promote their rehabilitation. NY Public Library System Correctional Services provides reading materials to the city’s incarcerated community. Volunteers are needed to work at the city’s correctional facilities or remotely to respond to information requests. The Osborne Association offers opportunities for reform and rehabilitation through public education, advocacy and alternatives to incarceration. There are a number of ways to support them, such as hiring an Osborne program graduate. The People’s Education Initiative provides incarcerated women with educational opportunities on Rikers Island. They are looking for volunteers to teach courses. The Petey Greene Program trains and prepares volunteers to provide free tutoring services to help incarcerated people achieve their education goals. They serve incarcerated men and women in New York as well as in Connecticut, Massachusetts, New Jersey, Pennsylvania, Rhode Island and Washington, DC/Maryland. The Women’s Prison Association works with women at all stages of criminal justice involvement, including help with housing, jobs and mental health services. They need volunteers on a short-term and long-term basis. These organizations are just a few that are working to improve the criminal justice system in New York City and beyond. The Correctional Association of New York’s Juvenile Justice Coalition is working to improve the state’s juvenile justice system.  #CLOSErikers is a citywide coalition led by JustLeadershipUSA in partnership with the Katal Center for Health, Equity, and Justice calling for the close of Rikers Island. Jails Action Coalition is a coalition of activists that includes formerly incarcerated and currently incarcerated people, family members and other community members working to promote human rights, dignity and safety for people in New York City jails. New York Campaign for Alternatives to Isolated Confinement brings together individuals and organizations that want the state of New York to reform its use of solitary confinement. Voices Of Community Activists & Leaders is a statewide grassroots membership organization building power among low-income people affected by HIV/AIDS, the drug war and mass incarceration to create healthy and just communities. Here are some of the national organizations and campaigns working to reduce America’s reliance on mass incarceration and support criminal justice reform. ACLU Stop Solitary Campaign offers advocacy campaign tools and extensive resources for anyone interested in helping to end the practice of solitary confinement. Center for Court Innovation is involved in many efforts to reduce incarceration, including bail reform. Color of Change is the nation’s largest online racial justice organization, helping people respond effectively to injustice in the world. #Cut50 is a national bipartisan effort to smartly and safely reduce America’s incarcerated population by 50 percent over the next 10 years. The Education from the Inside Out Coalition seeks to remove statutory and practical educational barriers for individuals with criminal justice involvement. The Equal Justice Initiative is committed to ending mass incarceration and excessive punishment in the United States, challenging racial and economic injustice, and protecting basic human rights for the most vulnerable people in American society. Essie Justice Group offers tools and resources for women with incarcerated loved ones to heal their families and communities, as well as advocate for ending mass incarceration. Families Against Mandatory Minimums fights for smart sentencing laws that protect public safety. Family ReEntry provides support and a variety of programs to people in Connecticut who have been involved in or impacted by the criminal justice system. The Focus Forward Project offers a a 12-week education program that teaches life and work skills to incarcerated men and women charged with federal crimes, as well as those out on bail. JustLeadership USA is dedicated to cutting the US correctional population in half by 2030, while reducing crime. National Religious Campaign Against Torture mobilizes people of faith to end torture in prisons and jails, in particular the use of prolonged solitary confinement. Stop Solitary for Kids is a national campaign to end solitary confinement of youth in juvenile and adult facilities in the United States. The Sentencing Project promotes reforms in sentencing policy, addresses unjust racial disparities and advocates for alternatives to incarceration. Solitary Watch is a watchdog group that investigates, reports and disseminates information on the use of solitary confinement. Together to End Solitary Campaign offers information and resources to encourage people to host or participate in a variety of nation-wide events—such as vigils, solitary confinement cell installations and panel discussions. The Vera Institute of Justice aims to build and improve justice systems that ensure fairness, promote safety and strengthen communities. VOTE is a New Orleans-focused organization that provides national leadership with the goal of ending disenfranchisement and discrimination of people who have been convicted of a crime and transforming the city’s criminal justice system.